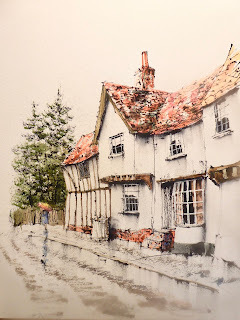 Reg Siger's visit to Writtle Art Group on the 26th of February focused on how he uses acrylics as watercolours and draws in waterproof ink with a brush rather than a pen. His extremely interesting and entertaining style of presentation ensured that all attending had a very informative and stimulating time. 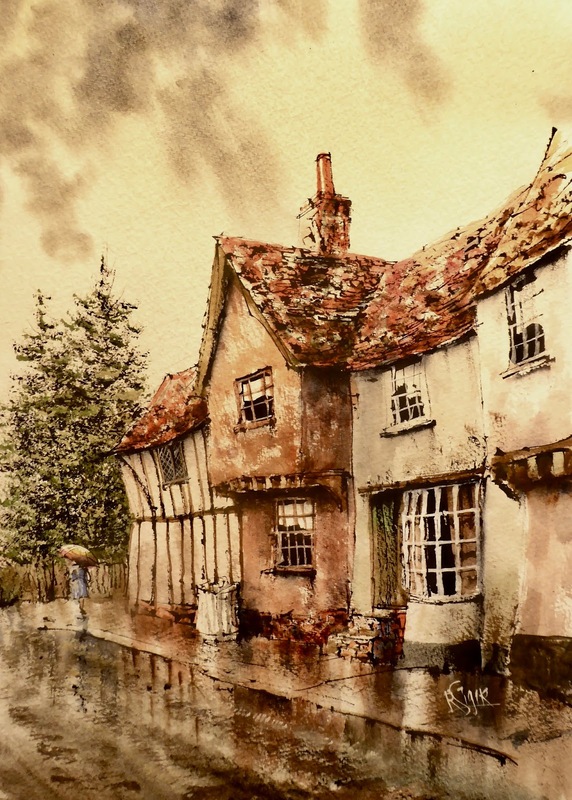 Reg painted one of his classical Suffolk street scenes full of character and atmosphere. 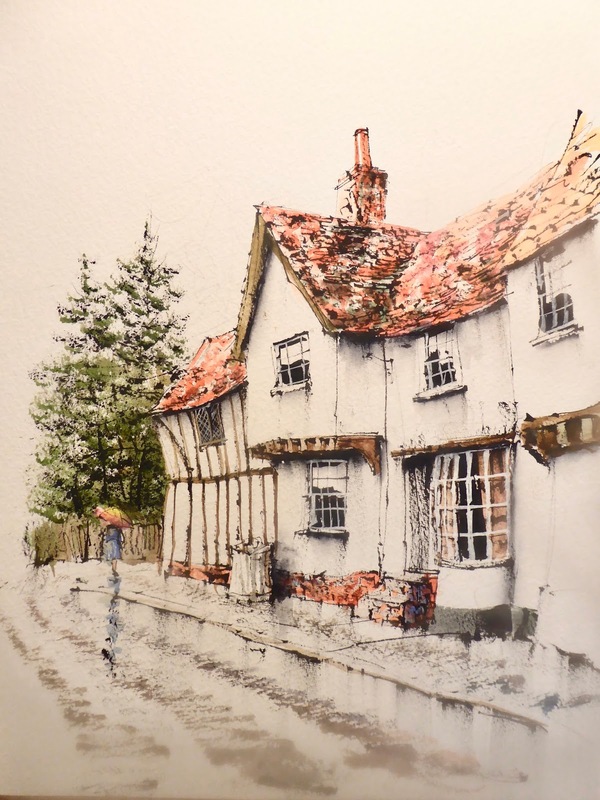 You can see more of Reg's work by using the link found under "Artists who have visited Writtle Art Group".